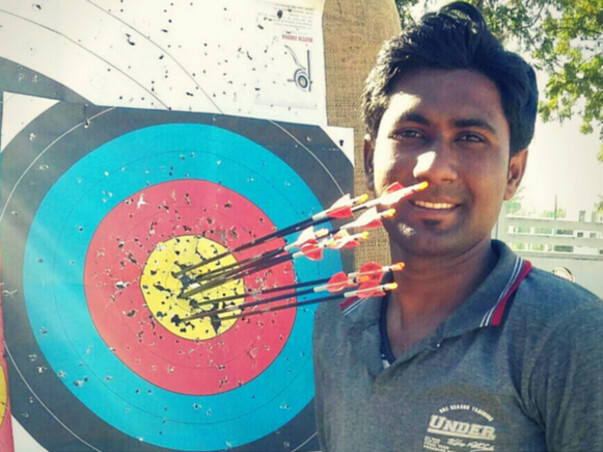 Abhishek Sunil Thaware excelled at the Para-Archery World Championship trials conducted by the Archery Association of India (AAI) in July 2015. He then bagged a silver medal at the All India Archery meet for the disabled in Baroda in August 2015. 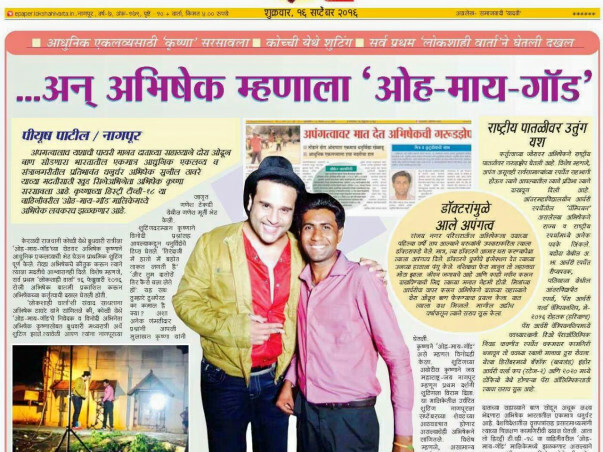 In September, he qualified for a state-level meet conducted by the Nagpur District Association. He finished 27th at the state archery meet at Nagpur in October 2015. He won with scores of 637 out of 720 points in Nagpur varsity’s inter-college meet last month, that is, in January 2016. But here’s what’s extremely unusual about Abhishek's achievements. Abhishek is the first teeth archer in our country. Yes! You heard it right. Abhishek Thaware pulls the arrow with his teeth and hits bullseye! Abhishek lost the use of his right arm to a polio infection when he was just one-year-old. As he grew up he was always interested in sports and started taking part in athletics at state and national levels when he was in 8th standard. He later went on to play as a para-athlete for 9 years, but suffered a knee injury and had to give up on running after undergoing an operation. 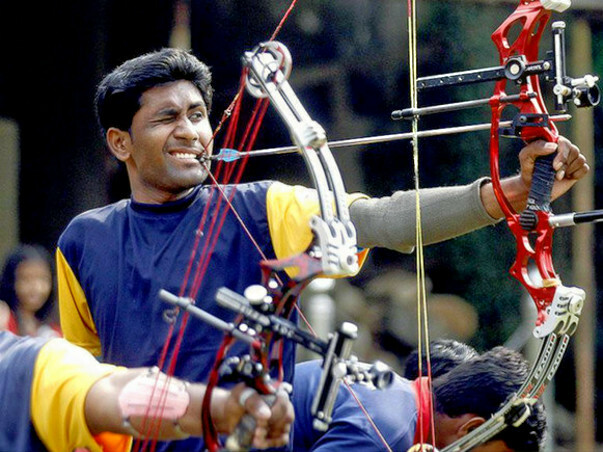 This is when Abhishek’s cousin, Sandeep Gawai introduced Abhishek to archery. However, this was also not easy for Abhishek. He could hold the bow with his left hand but the right hand did not have enough strength to pull the arrow. With Sandeep's encouragement, Abhishek succeeded in pulling the arrow with his teeth. Abhishek continued to train under Mr. Chadrakant Ilag, a constable with Maharashtra Police, who taught archery to kids free of cost. After he saw Abhishek’s dedication towards this sport, he offered to train him in his academy for a month during the summer session. This opportunity helped Abhishek polish his skills. After this, Abhishek kept visiting Mr. Ilag for further training and soon became the first teeth archer in the country. Only 25-years- old, Abhishek want's to pursue his career in para-archery and represent India in the Tokyo 2020 Paralympics. Currently, practicing with a second-hand bow, Abhishek can perform much better with new equipment. 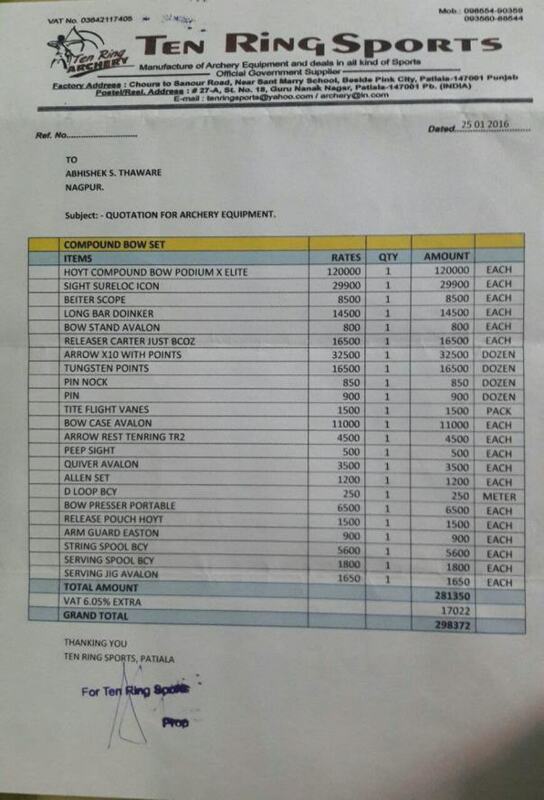 But coming from a middle-class family, he is finding it very difficult to manage the funds needed for the new equipment. This story was originally published on TheBetterIndia. 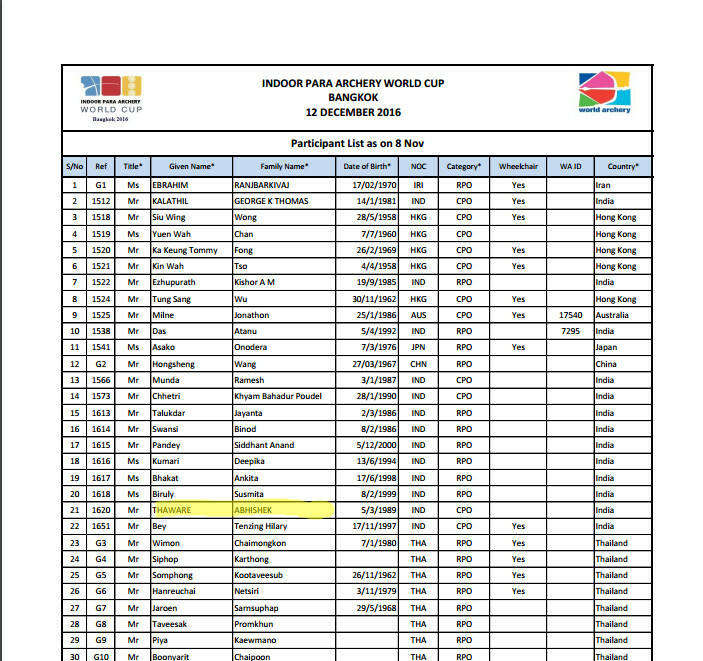 I will be representing India in the upcoming Indoor Para Archery World Cup along with a contingent of 10 archers. The World Cup will be taking place in Bangkok on 12th December 2016. I hope with your support and good wishes, I will be able to perform to my full potential and get a medal for India.